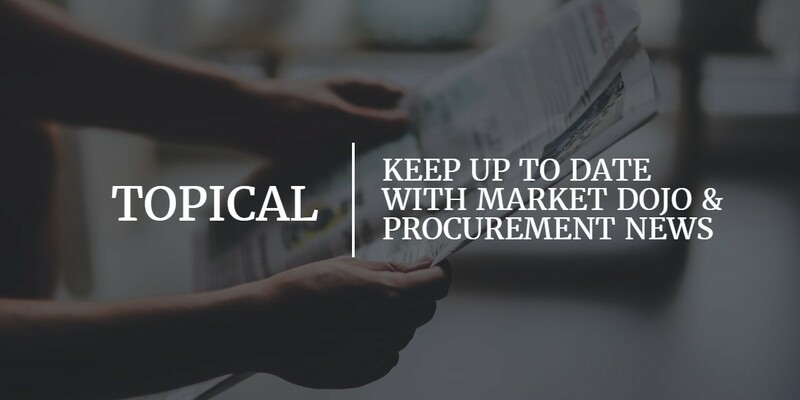 We were having a meeting the other day with a vastly experienced ex-CPO of many FTSE 250 organisations, whose counsel to us was that we should look at developing a fully integrated eProcurement toolset if we were to have a chance of working with FTSE companies. Given our current direction, it did get us thinking about the whole best of breed versus enterprise solution debate. The main advantage of best of breed is that is allows customers to select the ‘best’ product for each requirement, rather than going for one tool that can satisfy every requirement in perhaps a sub-standard way. Time and again we have seen certain modules of these enterprise solutions gathering dust within an organisation simply because they are not a best fit yet organisations are paying the software companies for supporting these unused features. In worse cases, best of breed applications are still brought in to do the very same task, only better, leading to the company paying for the same requirement twice over. It is frequently cited that enterprise solutions have less integration costs. However in many cases it can be far more costly to implement an ERP solution onto the current IT infrastructure and then to bespoke it to fit the specific requirements. Perhaps if there were any true SaaS ERP applications out there at the moment then maybe the implementation costs would be much less. However adopting a best of breed route opens up the choice in the market considerably, which in turn increases your negotiation potential, in the same way that a buyer might devise ‘Lots’ for a tender process. This becomes particularly prevalent when it may come to switching your provider, as the fully integrated solutions will be extremely challenging to dislodge, whereas you can phase out individual best of breed applications gradually. Furthermore integration costs can be cut drastically, in terms of price, time and complexity, through the use of clever cloud-based integration tools that remotely link SaaS applications. Boomi, Pervasive and Cast Iron are some example solutions for this. Suddenly the potential to integrate best of breed solutions becomes even simpler, and all possible via the web, thereby greatly increasing the flexibility of this approach. From our side, the first major hurdle we would have to overcome to become an enterprise solution is that we would need to develop the other modules, such as spend analytics, contract management, P2P, SRM, SIM, project management and so on. This would create huge development costs on our side, costs which would of course be transferred over to our clients. It would also mean our maintenance and upgrade schedules would be vastly more complex as our team has to keep an eye on tens of thousands more lines of software code, much of which cannot be refined in isolation but must be looked at as part of the bigger picture. Naturally, as soon as this happens, cracks appear in previously excellent products, functionality starts to suffer and the user experience is greatly diminished due to the increasing number of options that the user is presented with. It is no surprise that best of breed applications are more streamlined than the larger ERP solutions, as they only have to handle 99% of the capability. As soon as attempts are made to plug the final 1%, which can move them further into the ERP domain, the application becomes unwieldy. Instead we could partner with best of breed vendors in each of the key areas, using cloud integration tools to integrate our respective solutions, and then our team can focus on our key strengths and plans, and our partners can focus on theirs. We could even have multiple partners within the same product type, for example contract management, so that we could present our clients with several possible solutions from the all-singing, all-dancing right down to the very basic. The partnership between applications can create huge value. Just a casual glance through the Google Apps Marketplace and you can find thousands of best of breed applications, designed specifically for simple integration with Google Apps. Google could have kept all their software behind closed doors and prevented third parties from branching out. However Google recognises the innovation and perfection of solutions that is created by promoting such an open network of best of breed applications. We certainly use a number of these applications, such as Zoho and Oggchat, and thanks to the way that these applications can feed off the functionality of Google, the costs are extremely low and integration was a doddle. So, the next time you are looking for a suite of solutions to cater for your procurement needs, please do bear in mind the best of breed approach and use it to create your own solution to perfectly fit your needs whilst keeping your options open for the future.